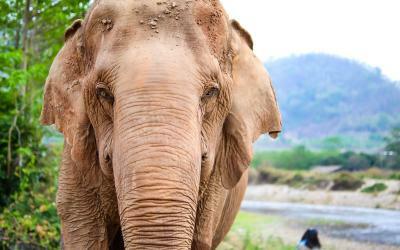 See What a Thai Massage Actually Looks Like! 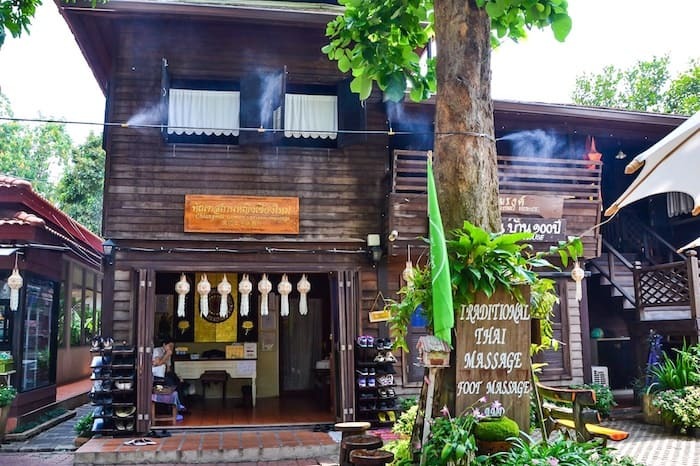 Thailand is a country renowned for their massages, so it is no wonder that spas line the streets of the northern city of Chiang Mai. You might be tempted to enter the first ฿200 massage place you see, but be wary, as not all Thai massages are created equal. We have created a guide to help you find the best of Chiang Mai spas and included both luxury and budget options for every type of traveler. We have also included contact information and prices to assist with your decision making. 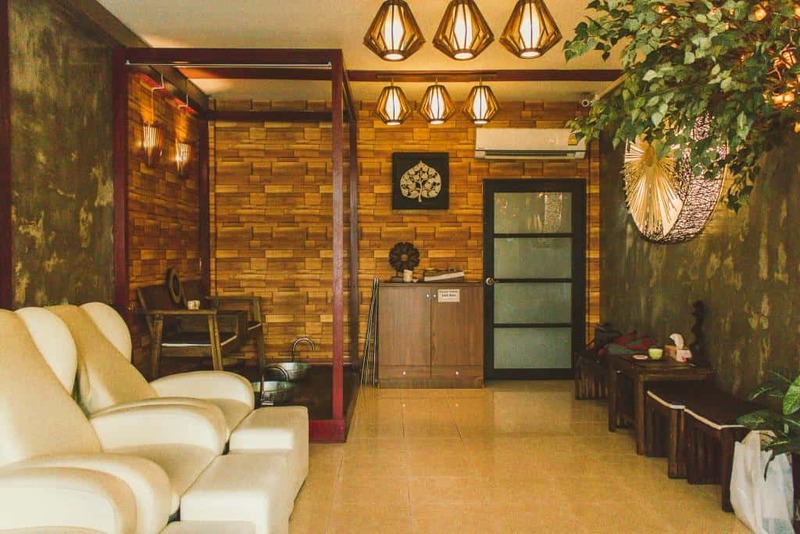 With the vast number of spas in this city, you can easily spend your entire trip getting massages (and we 100 percent respect and support that decision). 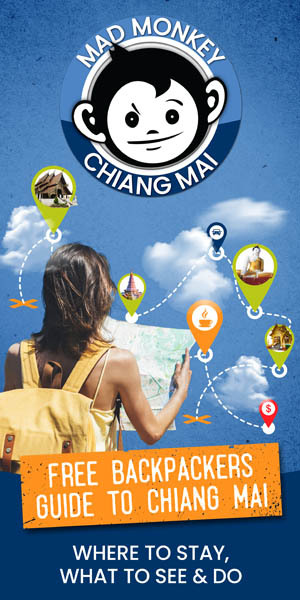 Start your massage journey with this list of Chiang Mai spas … you will not be disappointed! Mad Monkey Insider Tip: if you are ticklish, be sure to tell the masseuse jakagee, meaning ticklish. If a masseuse is hurting you, the word for “hurt” in Thai is jeb. Enjoy! 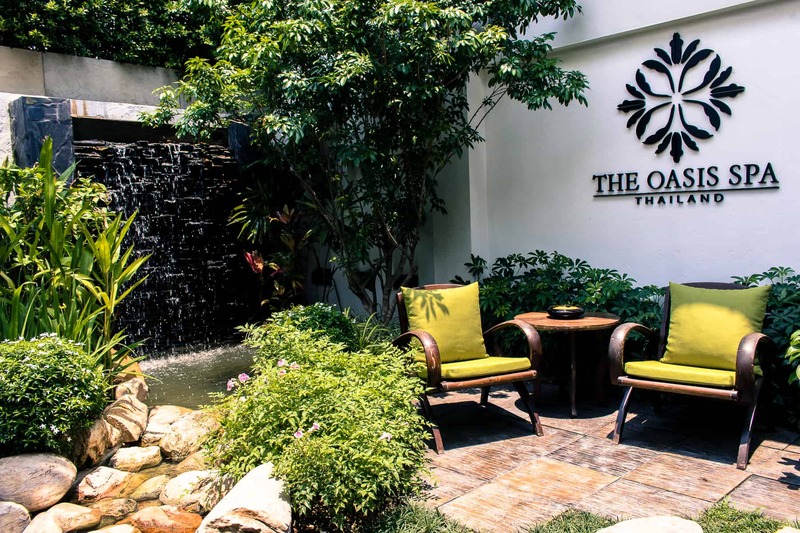 Orn Healing Hands is one of the top massage parlors in Chiang Mai. Not only is Orn, the owner, such a sweet and kind woman, but her hands work absolute magic during her massages. It is like her hands know where every pain and knot is and works their way directly to it before working out the stress, leaving you feeling refreshed and relaxed (and maybe a bit sleepy). Her knowledge of Thai massages and her skill in giving them is impressive, as she studied her incredible technique for many years in Bangkok before opening up shop in Chiang Mai. Whatever it is that may be suffering from, Orn will be able to fix it. Be sure to book in advance, as her staff is small and Orn’s schedule tends to fill up quickly. This is one of the top Chiang Mai spas you do not want to miss out on. 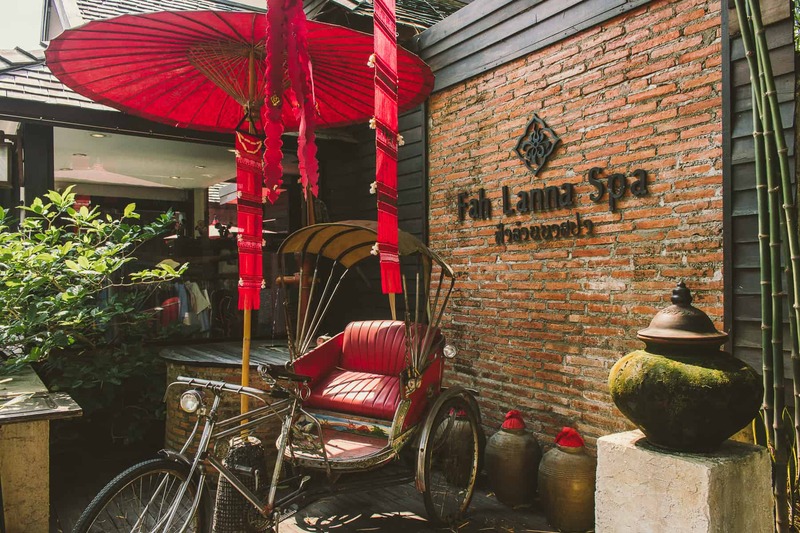 Fah Lanna Spa is the perfect parlor to go for an afternoon of pampering. The beautifully Thai-designed spa promises a relaxed vibe for even the tensest of visitors to enjoy. Almost the entirety of the salon is shaded with large foliage like bamboo trees. The menu of treatments here is so long it is almost intimidating, including the Fah Lanna Spa signature treatments, beauty treatments, waxing treatments, and spa packages. Kick-start a day of pampering with a mani and pedi before ending your treatment with a relaxing aromatherapy oil massage: a comforting and calming massage using essential oils that both refreshes and cleanses your skin. 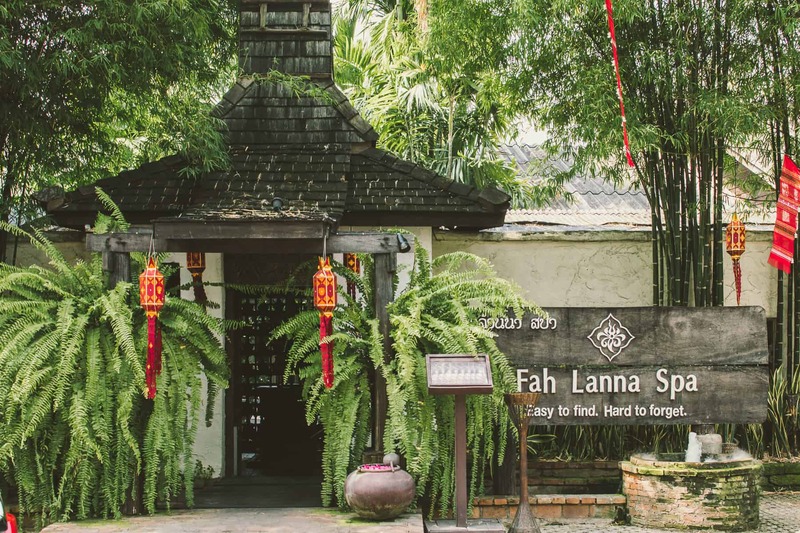 The choice is yours (and seemingly endless) at Fah Lanna Spa. Bring some bliss into your day at The Oasis Spa. This spa is one of the most renowned ones in all of Thailand. Northern Thailand used to be part of the Lanna Kingdom, and this spa uses a distinct Lanna-style experience in order for guests to enjoy the ultimate massage experience. Prepare to pampered by The Oasis Spa’s professional staff in a graceful setting filled with greenery and a delightful ambiance. There are only five treatment rooms, so be sure to book in advance. Support a social enterprise whilst getting one of the best massages in the city at Perception Blind Massage. The eyes are useless when the mind is blind, at least according to these masseuses. Perception Blind Massage has a total of three locations: two in Bangkok and one in Chiang Mai. 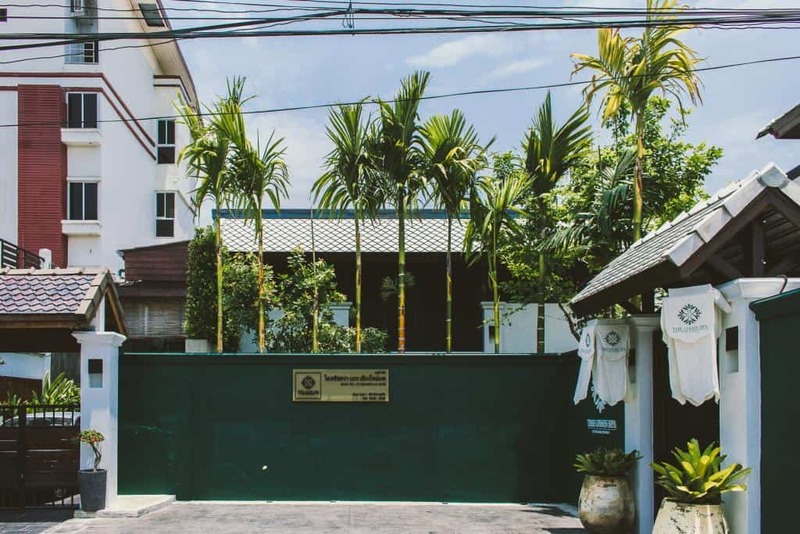 The Chiang Mai spa location has a total of seven visually impaired masseuses, while their locations in Bangkok have 20-30 masseuses. 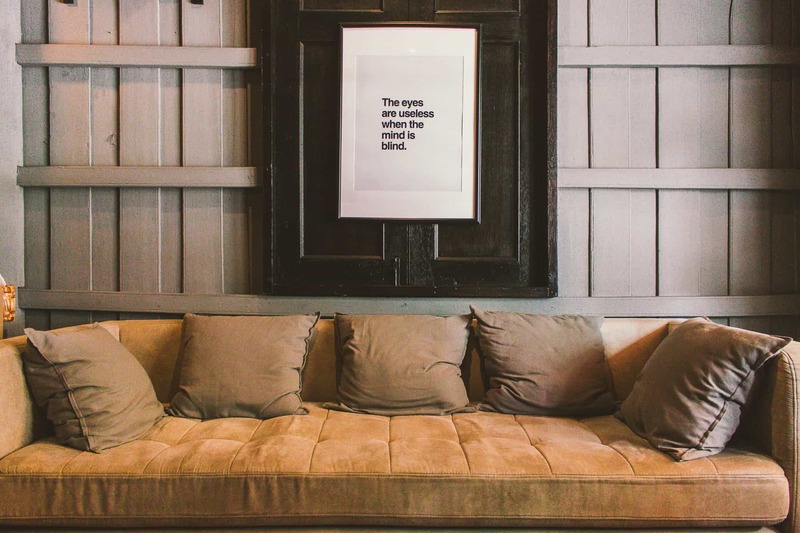 Every massage at these locations is given by a visually impaired therapist. Perception Blind Massage offers Thai, foot, aromatherapy, Thai herbal ball body, and head, back, and shoulder massages. You can get either 60 or 120-minute massages, with 90-minute massages available for some of the treatments. Massages start at ฿450. Friendly masseuses, air-conditioning, lovely decor: what else could you want from a massage parlor? Well, that, and affordable prices! That is exactly what you will get at The Giving Tree, a massage parlor found in the heart of Old City. The Giving Tree looks like any other massage parlor from the outside, but the masseuses and aura certainly stand out from the rest. Your feet are washed upon arrival and you are given a plate of cookies to fill up on before being taken to an air-conditioned room to be pampered. The staff is attentive to when a person is in pain or wanting to be pressed a bit stronger. This allows you to sit back, relax, and simply enjoy your massage. The Giving Tree has both one and two hour-long massages available. 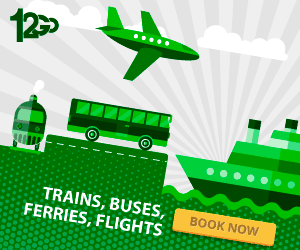 You can get a slight discount for booking a two-hour long one, as well. The menu includes Thai massages, aroma oil massages, foot massages, and a number of package deals. 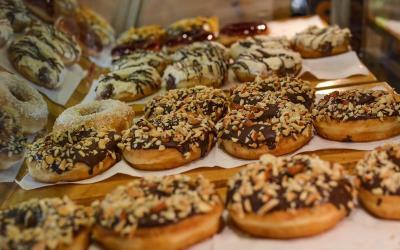 Hours: Daily from 10 a.m. to 12 a.m. In addition to admiring incredible, Buddhist architecture, you can also get massages at a handful of temples that double as massage parlors. 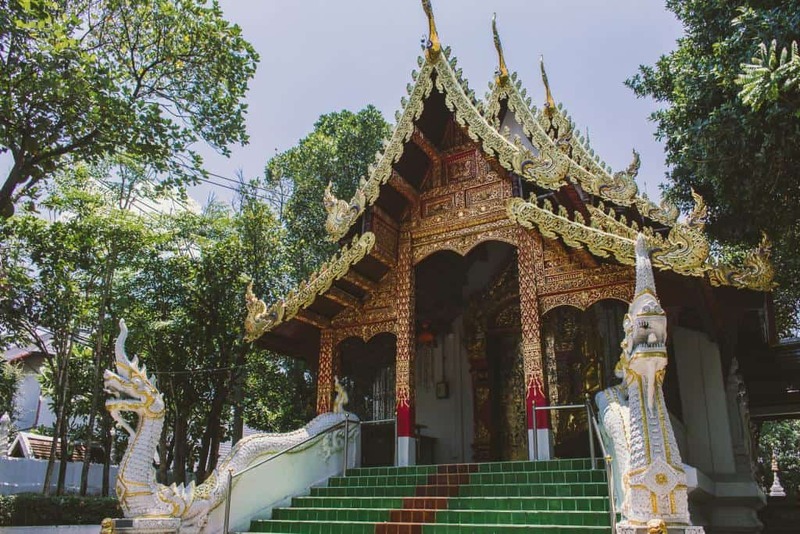 Both the temples of Wat Pan Whaen and Wat Sum Pao have massage studios on site and are some of the cheapest ones in town. Thai massages here are normally around ฿150 (about $4.70) for an hour of pure relaxation. What these parlors lack in air-conditioning in comparison to other Chiang Mai spas, they make up for in skill, as locals take to your body and relieve all of those knots from your backpack carrying body. Hours: Daily from 9 a.m. to 7 p.m. 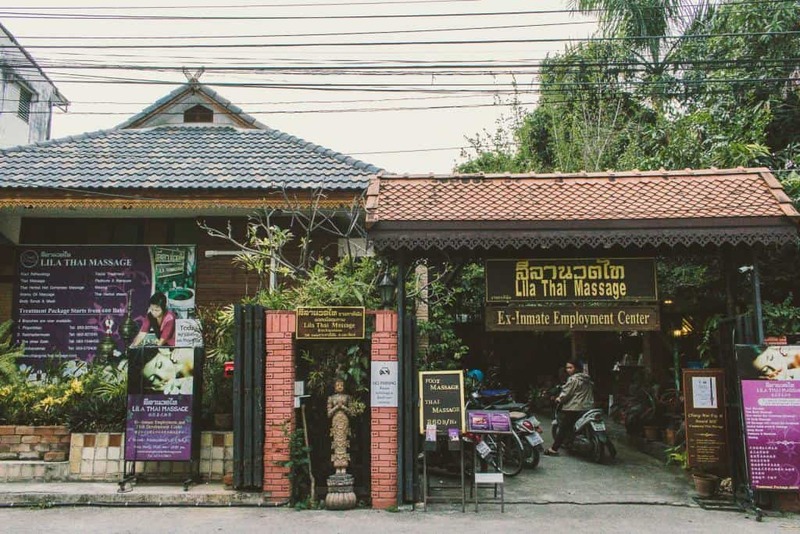 If you’ve been to Chiang Mai before, you probably noticed multiple massage parlors advertising “ex-inmate massages” or “prison massage.” Don’t be deterred: this unique experience is actually a win-win for everybody. These rehabilitation and vocational training centers teach former and current inmates massage therapy. Having a skill they can use to provide for themselves will help prevent these women from being incarcerated again. As a bonus, these massages are generally cheaper than non-prison massages and no less amazing. Chiang Mai Women’s Correctional Institute is the only government-run program in Chiang Mai, so you’ll see guards strolling around while you wait for your turn (show up early, as they get booked up quickly and only take same-day reservations). 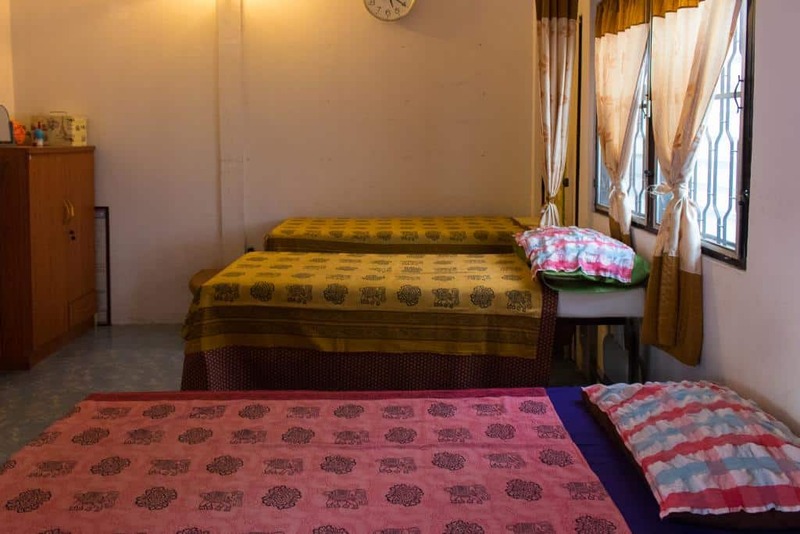 Hours: Monday to Friday from 8 a.m. to 4:30 p.m. | Saturday and Sunday from 9 a.m. to 4:30 p.m.
Lila Thai Massage is another ex-inmate employment and skill development center found in Chiang Mai. 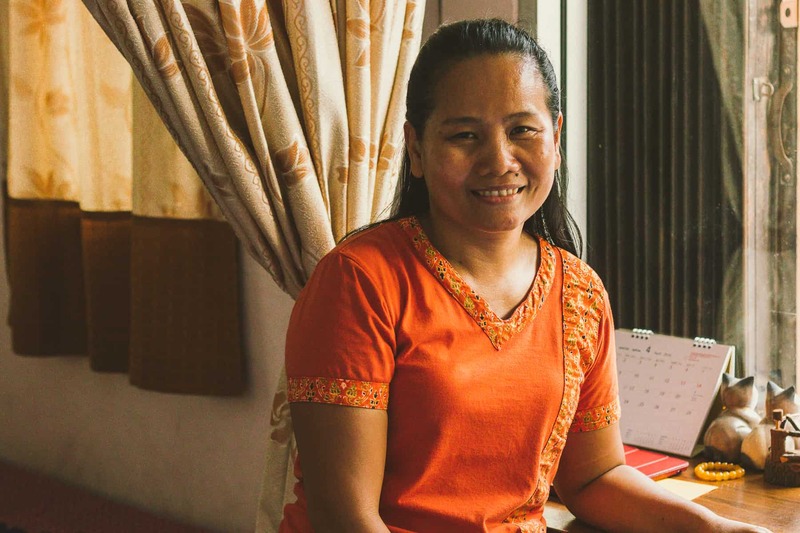 Women who work here have another shot after doing their time at this beauty service and massage parlor, giving them both dignity and a fresh start. 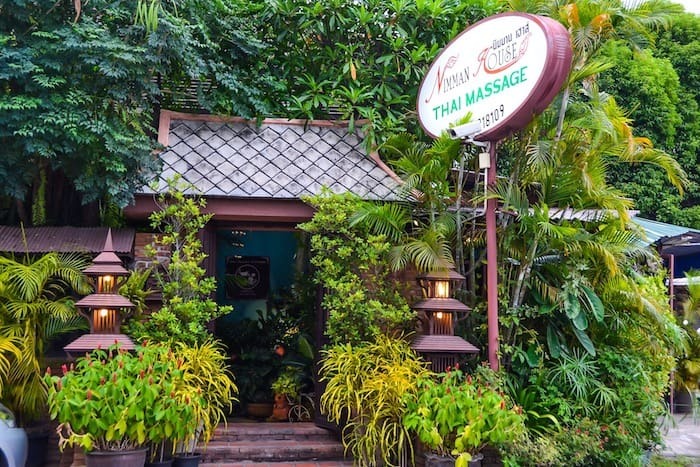 There are a total of six branches of Lila Thai Massage in Chiang Mai. 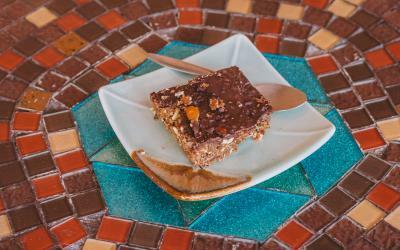 One of the massage parlors is even equipped with a dessert store for women who are injured or can no longer work as a massage therapist, as well. Lila Thai Massage offers a number of different services. This includes body treatments, facial treatments, manicures and pedicures, waxing services, and, of course, amazing massages. There are eleven different types of massages to choose from, with everything from oil body massages to the traditional Thai massage on the menu. Prices range from ฿250-1,200 for about an hour, depending on what it is that you want. 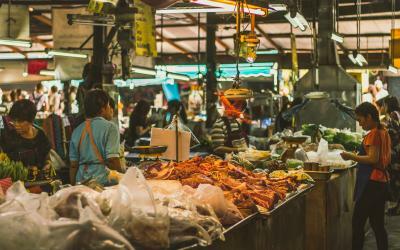 The goal is to lower the conviction rate in Chiang Mai and help solve the societal problems that perpetuate the situation, so everyone leaves happy! For another affordable (but oh-so-amazing) massage, head to Naruncha. This simple and small shop provides all the same perks as more upscale places – a foot wash, change of clothes, air conditioning, a refreshing towel, and tea afterward. The women here are some of the most skilled I’ve encountered, and they gave a Thai massage with just the right amount of pain. Making sure to tackle every part of your body (literally from your head to your toes) these women will knead out any and all knots and stretch you further than you thought possible. 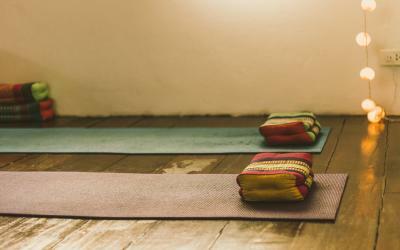 Of all the Chiang Mai spas on our list, this is one you must visit if you are in need of some major stretching. 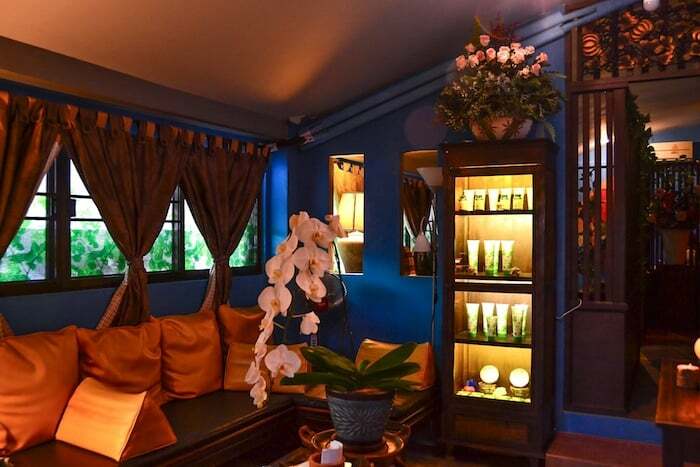 If you want luxury without breaking the bank, Nimman House will be your go-to massage parlor in Chiang Mai. 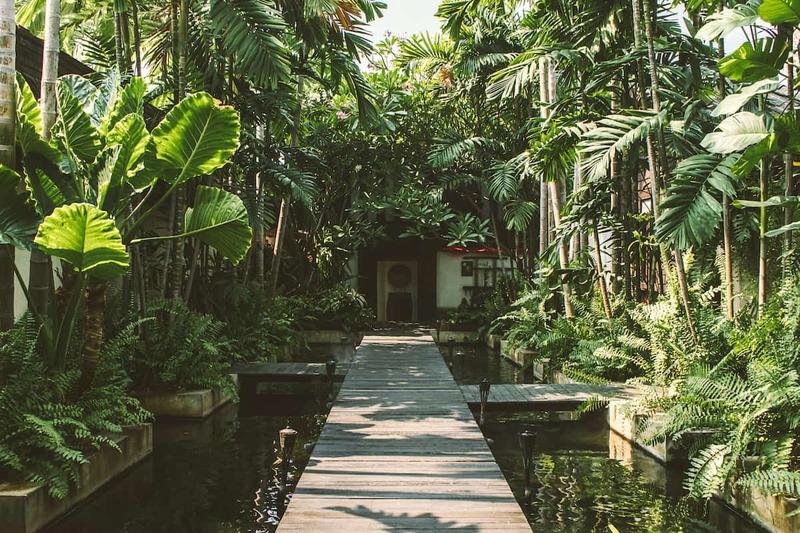 Walk through the foliage-filled entryway into the calm, soothing atmosphere of Nimman House. Once you’ve decided on what treatment you’d like, you’ll be brought to a private room with soft lighting and music to match. 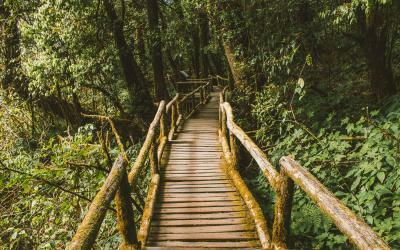 Splurge on a package including a body scrub and steam, or go the traditional route with a Thai Massage. The technique here is superb, and you’re sure to float right out of Nimman House feeling completely relaxed and at ease. Hours: Daily from 10:30 a.m. to 10 p.m.
Chiang Mai spas do not get much better than Arayana Thai Massage. 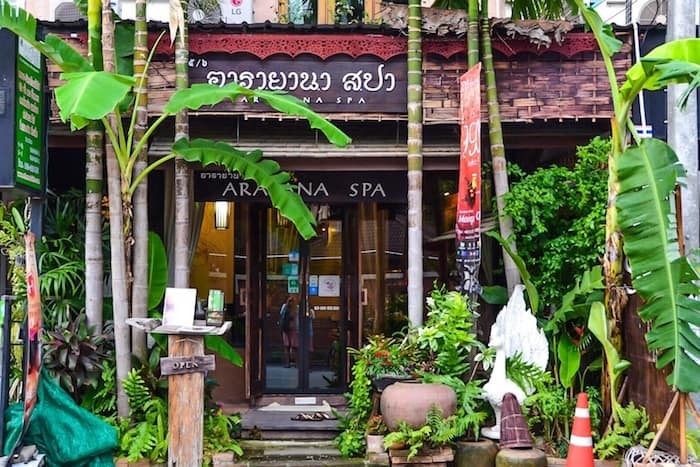 Offering an array of treatments, including body wraps, scrubs, facials, acupressure, and of course, traditional Thai massages, Arayana is the perfect place to pamper yourself. This professional and clean spa will welcome you in and help make you feel as comfortable as possible. If you really feel like indulging, try out one of their packages, like the Arayana Luxury. This package includes a foot massage to relieve your feet from all that walking, an aromatherapy sesh, a hot compress, and a one-hour Thai massage: #yesplease. 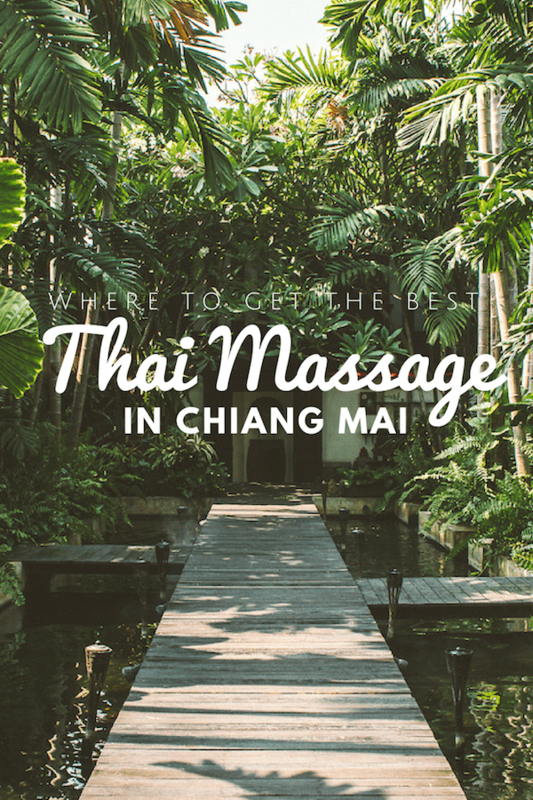 If you are on the hunt for the absolute best massage in Chiang Mai (and want to try them all out firsthand) as well as the best Chiang Mai spas, then check out these other articles. Happy pampering!